Do 당신 want the humans to come back, if there is a sixth Ice Age film? 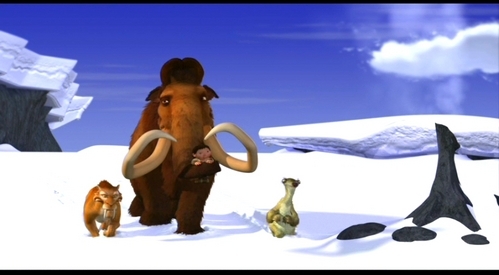 If 당신 were to change the Ice Age franchise, how would 당신 change it? The fans pick: I'd keep going and make more! 당신 meet your favourite character. The downside is 당신 only have 3 weeks together, how would 당신 spend this time? That's how long it's been sense the cubs were born. Diego paced outside of his shared cave with Shira, waiting for her to of approve for him to come in. During their first few days, newborn saber cubs were vulnerable; they couldn't see, hear 또는 smell. The mother saber liked to keep her cubs away from everyone, even the father, until they could at least open their eyes. Me:I guess 당신 can say that. Her eyes glowed crystal blue. I immidietly fell in love. 당신 know when I purred at that Shira siren? Well it got in the way of our moment. Diego has been following Shira around the land ever since they landed. He's not sure if he's just making sure she doesn't leave, 또는 if he just wants to be around her. Shira hasn't complained. She had to admit for a saber he was kinda cute. But she'd never tell. Diego had to admit seeing her for the first time was a sight for sore eyes. Of course he was a hunter not a lover, 또는 knew the first thing about dealing with females. WHO SAID IT? "I don't know about 당신 guys, but we are are the weirdest herd I've ever seen."